As we are approaching another New Moon period on June 12, 2010 at 22 degrees Gemini at 4:16 a.m. PDT, I have always said we are starting with a blank slate. The truth of the matter is that we are starting with the subtle essence of the sign the Moon is in, and the ruler of the sign. Although it doesn’t kick us in the face, it does subtly color what is happening during the coming month. This makes each new month different and full of surprises, and even if our direction and goals are the same, applying them during each new month brings new results and different outcomes. The Moon is square to Saturn, and the ruler of the moon in Mercury is in its’ own sign, trine Saturn. The aspects are revealing to us the need to communicate our ideas, and in turn actually be listening, understanding and comprehending what others are saying to us. We must change how we communicate with one another, and the quality instead of the quantity of the communication. In this digital and internet age, we tend to comprehend more when we are reading a text message, and when listening to some one talk, we hear what we want to hear. We need to change this by listening to what is actually being said. This period of time is also telling us to be more selective in what we communicate and what we are concentrating on. Too much idle thoughts will confuse and clutter our thinking and to cause us to miss the right opportunity when it presents itself. 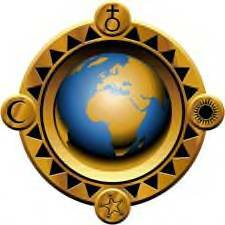 “The Sabian symbol for the 22nd degree of Gemini is taken from “The Sabian Symbols in Astrology by Marc Edmund Jones”, and what follows are my comments. Gemini 22 A barn dance This is a symbol of complete self-fulfillment through the established or normal activities of the community at large, and of a consummation of self by the broadest possible participation in the divisions of labor which constitute a human society. Richness of living comes from an uninhibited sharing of everyday potentialities, together with a maximum of happy give-and-take between any one individual and any other. The keyword is gregariousness. When positive, the degree is an ability to plunge into major and rewarding experiences without the least self-reservation, and when negative, a dependence on superficialities for self-satisfaction and on petty indulgences for self-assurance. Dancing indicates we are enjoying moments of joy and exhilaration with our partners and with all on the dance floor as a whole. We are all on the dance floor to fulfill the pleasure of the dance and to finish the dance to completion. The same is true when we start a project with the anticipation that all will participate with their full potential and enthusiasm and that the finished outcome will meet with everyone’s expectation. When we work together for the good of all, no matter what the end results, the experience gives each of us a rewarding satisfaction that we are in it together. Working as a unit and completing a project successfully to fruition is only achieved when we realize that communication is a two-way street, where we need to express our thoughts, but we also must listen and understand what is being communicated to us. How quickly time passes as another Full Moon on May 27th at 7 degrees of Sagittarius beginning at 4:08 p.m. PDT begins to show its’ promise for the coming month that the time to act if we are to avoid the stresses and frustrations from the aspects is now or never. With Neptune and Chiron squaring the full Moon and Jupiter and Uranus on the verge of change to the sign of Aires, change is not an option but a must. The aspects are telling us not to be fooled by what we think and assume to be the truth, or make judgments solely from our emotions, because there is no time to spare to get our house in order for what is about to appear on the horizon. We need to prepare our mind, body and soul to be open to higher truths, and that our concerns are for all, and not just for our own little world. Until we see that we are all in this together, our ability to change our own little world will be futile. It is the effort of everyone to see and make a better tomorrow that change will be made. 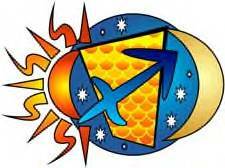 “The Sabian symbol for the Moon in 7 degrees of Sagittarius and for the Sun in 7 degrees of Gemini is taken from “The Sabian Symbols in Astrology by Marc Edmund Jones”, and what follows are my comments. Sagittarius 7 Cupid knocking at the door This is a symbol of the unimpeachable resources of life on the side of social self-renewals and psychological self-fulfillment. Implicit in the symbolism are the incurably romantic leanings of mankind, and the consequent willingness of the individual to refine or alter every aspect of his own being as a means for entering into self-quickening relations with others. He associates with his fellows and then breaks his ties he makes with them, but in time he achieves a spiritual integrity. The keyword is allurement. When positive, the degree is an insatiable appetite for enlarged experience and highly self-consummative intimacies, and when negative, self-exaltation and unbridled desire. Gemini 7 An old-fashioned well This is a symbol of the unimpeachable source of life on the side of personal self-renewal and simple organic integrity. Implicit in the symbolism is the purity of everything adding up to any individual character, and the curios capacity of man to remain himself whenever he enters into relationship with others and encourages the assimilation of their reality into his own. He draws in and gives out the substance of himself continuously, and is rewarded by nature as he expends himself in this process of continuing to be. The keyword is recompense. When positive, the degree is absolute self-reliance and uncompromising faithfulness, and when negative, insensibility and ineptness in all human contact. As in anything in life that we approach, if we are to succeed in what we are striving for, the object of our aspirations must have real meaning to us. Our desires and wishes need to be our sole aim, and it must have the magic to create the vision to achieve our goals, and the energy to help us to persevere until the ultimate goal is achieved. We achieve this by realizing the well that supplies the water to sustain life and keep it going is the well of the Universe which is within each of us. By drawing from the Universal well, the essence of integrity, dignity and honor which will nourish us and guide us towards the goals we are striving for. As we can see and sense from the unrest of the global community with their trust in their leaders to guide them with dignity and honor without scandals have been shattered. The need for integrity, dignity and honor to be the guiding light in our choices for our future is a necessity at this time if we are to make the needed changes. It is up to each one of us, and it is now or never. One of the wonderful benefits one receives in studying and practicing Astrology is that one realizes that no matter how one sees their personal God; it is proven every time we work with the chart. Everything in the Universe is related and works with each other to keep this crazy wonderful world going. This is confirmed by checking and studying the other predictive occult arts like palmistry, tarot cards, runes, I Ching, etcetera and graphology, and how each of the different systems is connected and works with one another. As a child I noticed that when learning how to print or write the alphabet that we needed to conform to a certain style, if we were to get good grades and continue on to the next level. As we progressed, and we became more individualistic, the bulk of our writing may have varied from individual to individual, but what stood out, is how we signed our names. Our signature was the only place where we did not need to conform to rules, and we were able to express and show to others who we really are. As we grew older our signature defined who we were and where we were going. I noticed in my own signature from the age of twelve that it hasn’t change much in slant and form, except that it has matured in style, but the basic form is still there. As an astrologer I wondered how our signature could relate to our natal chart, and if I could show that the two systems of revealing the personality of the individual were compatible and actually supported and confirmed each other. Thinking about this I came up with a theory and I would like to say that this is only my thoughts, not to be taken as a rule that ends all other rules. I came to the conclusion that our first name, or the name we wish to be called by would be represented by the Sun, which is the essence of the individual. The last name would be assigned to the Moon which indicated our family roots and our style of living. Our middle name and the senior or junior following our last name was represented by the ascendant that allowed others to see the part of us we wanted them to see. How would one work this system? By using my own chart with the Sun in Taurus in a fixed sign and the ruler Venus in the tenth house conjunct the Moon in Gemini in a mutable sign with its’ ruler mercury in the ninth house. The ascendant in Virgo in a mutable sign with the ruler Mercury again. I have been told by an expert graphologist that from my signature that I would appear to be extroverted and am meticulous in my thinking and enjoyed beautiful things and thoughts and was liberal and open in my thinking. All of this from the fact that the first letter to my name was gracefully slanted forward with rounded loops and the rest of the name slanted vertical with a slanted upward motion finishing off my first and last name. This definitely gives a first clue to anyone who would delineate my chart. I consider this important, because by seeing a client’s signature, one can get a quick picture of what the person is really like and confirms the details by delineating the full chart of the person. Handwriting is like body language, it gives us a clue to what is happening at the time. When a person changes their first name or how they write it, it will determine an important time in their life that will show up in either the solar or lunar charts. Also when one see an important change in a person’s solar and lunar return concerning their personal direction, make sure to take note when the change in their signature begins to occur, and see if it doesn’t coincide with the aspects in the chart. Remember your signature is who and what you want to be to the world. Again with anticipation we are approaching a New Moon at 24 degrees Taurus at 6:06 p.m. PDT on May 13th 2010, and as always I feel this is a new start. 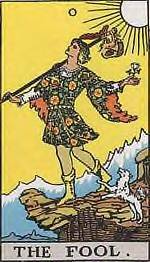 Like the Fool card in the tarot deck with all his worldly goods on his back and with innocence he begins his journey to seek and fulfill his purpose. With a new moon, the two lights are in harmony with each other and give support to one another. In Taurus, the sense of possessions and what we possess, defines who we are. With the difficult aspects still lingering, and the need to change, hangs over us. The change needs to be within our attitudes, prejudices and our point of view if we are to experience the difficulties in store for us with the least of stress and frustration. Saturn the lord of this decan of the New Moon is demanding this restructure in our thinking if we are to have the ability to learn and grow from our experiences. It is not just our physical possessions that define us but our emotional and philosophical characteristics and personality that defines us, like our ability to have sympathy, empathy, honor, integrity and dignity. “The Sabian symbol for the 24th degree of Taurus is taken from “The Sabian Symbols in Astrology by Marc Edmund Jones”, and what follows are my comments. Taurus 24 A mounted Indian with scalp locks This is a symbol of pride in personal prowess, and it suggests an exceptional capacity for gaining and administrating authority among men. There is here an appreciation in the potentials in nature herself, and of the senses as they can be brought to the full service of an individual’s aspiration and ambition. The conquest of an enemy becomes not so much a momentary supremacy over him as an acquisition and subsequent use of his particular genius. The keyword is command. When positive, the degree is an unimpeachable control over life through a discipline of the self and its powers, and when negative, a ruthlessness or complete inhumanity in dealing with others. I am always delighted to intertwine the sabian symbols in my interpretation as they not only confirm what is being said, but gives one new insights with an interesting twist to the interpretation. Here it seems to say that we must reevaluate our moral and philosophical thinking as far as kindness, sympathy and empathy are concern. Do our values take in others, or are we just concerned what is happening to us? Has the internet age isolated us to a narrow approach to humanity? Are the high tech gadgets the scalps we use to show our personal prowess to others in our group? The New Moon in Taurus is telling me that how we see and allow sympathy, empathy, kindness and a mind open to new ideas is a way we receive respect from our peers and enemies. By upholding to the highest standard, our honor, integrity, and dignity are held in tack. By being open minded we will be able to avoid the stresses and frustrations indicated by the aspects in the heavens. With Saturn in opposition to Uranus and Jupiter, square Pluto, the notion that we still need to change as a global society is still in the stars. As the world has gotten smaller, and news from one area of the globe can be sent in seconds to another part of the world, keeping secrets are a thing of the past. Not being aware of what is happening in other parts of the globe is unheard of, in this day and age. No matter how much regulation is used to stop information from leaking out, there is always a way to find that information one is looking for. As the technology of communication devises continues to advance, our ability to gather information and to distribute it will be that much quicker and greater. With places similar to Facebook, Twitter, Youtube, and all the blogs, there is no shortage of information and news. The problem I see is how much are facts, and what is considered hearsay, and how to have the wisdom to tell the difference before repeating or accepting any information one has acquired. Many astrologers, including myself see this aspect with Saturn as a global need to change the way we have been doing business and our treatment of the earth and its’ environment. I began to wonder how we can implement this change personally. And does the aspect take on a more personal and urgent pace to be completed? The momentum of change must be first instigated by us, individually, if we hope that others will follow suit. It appears our leaders are continually going about their business as they have been, so how do they expect things to be any different then what they have always been? This financial downturn has shown each of us that we have spent more then we have, and we need to change our thinking and our actions. Now is the time, not to try to have more, but to begin to put to good use what we already have. Seeing the aspects in this new light I began to see Jupiter and Uranus in Pisces as commanding us to become more selective, and with more discernment in all the information we are collecting through the internet. I noticed in my own life that the more information I get off the net, the more I want. I have also noticed that as the high tech gadgets become more innovative, the more everyone wants them, even if they are not useful or needed in their lives. This inability to select that which we really need at the moment, and discard the rest has become our Achilles’ heel. Having too much information is as bad as not having enough information on any subject matter. Unless the information we have collected can be put to good use, it can be a handicap in hindering us from moving forward and getting in the way from discovering the right solution. As we can clutter our homes, we can clutter our minds with useless information that gets in the way in allowing us to find the right solutions to our problems. It has been shown scientifically that useless, nonfactual and stressful information can not only hinder our decision making, but can formulate the mind to come to illogical conclusions which will hinder accomplishing that which we wish. As these aspects affect us as a whole, and if we do not wish to follow the masses down the road to stress, trials and tribulations, we need to break away from the pack. The way to do this is to be selective to all incoming information, making sure it is in the positive and of a constructive nature. Then we must quiet our minds and emotions and try to discern what the right information we need to accomplish that which we are working towards. At the same time during our quiet moments, we need to ponder that our wishes and goals are attuned with the Infinite Universe. Although we may think we know what is right and good for us, the Universe sees the greater picture and in its’ wisdom allows us the freedom of choice. To sum up, the aspects are telling us that the future is in our hands, and that we need to use wisdom and our ability to be selective to insure a brighter future in the upcoming difficult times. This action allows the energies of Saturn, Uranus, Jupiter, and Pluto to work with and for us, instead of working against us.